I love them! Will be using them next year for Christmas! I really like these Christmas cards. They turned out great. 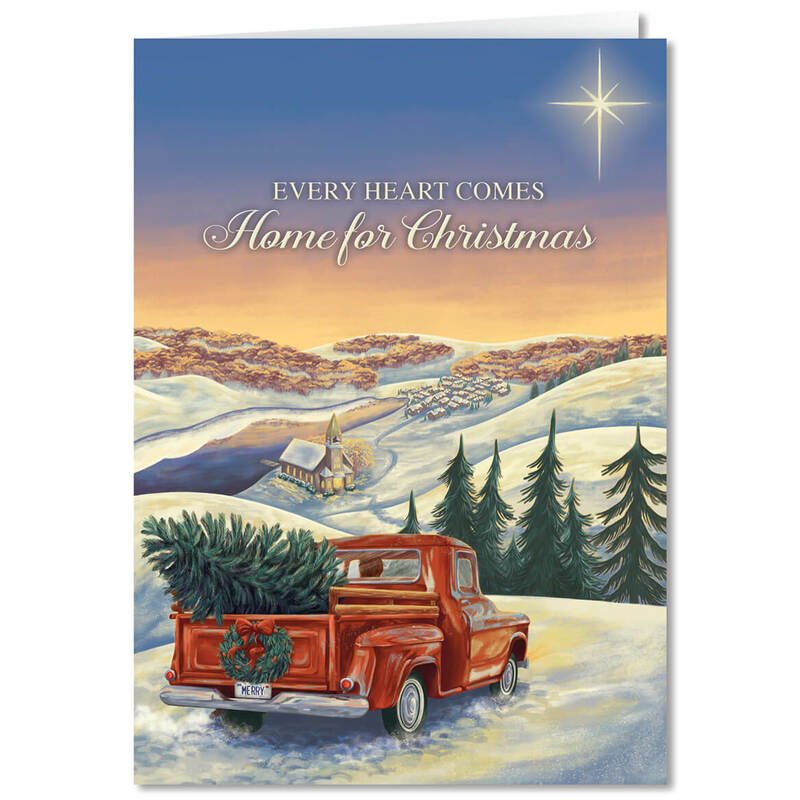 I have been trying to find cards like these with the old time red pick up truck with the tree in the back. I want only the envelope printed with name and address. Is that possible? BEST ANSWER: I had my name and address printed on the envelope and our names on the inside. I would imagine when you go to add the personalization you would just leave the card section blank. Many people like to put their own hand written message in their cards so I am sure that is common thing to do. Thank you for your question. 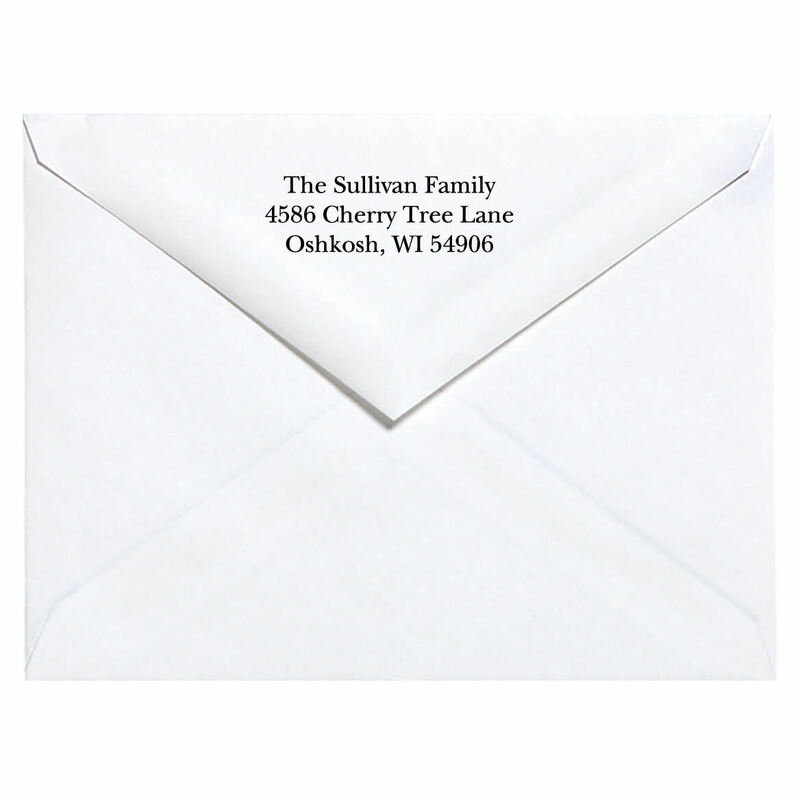 Please choose to personalize the envelopes only, then enter in the personalization. We hope this information will be of help to you. 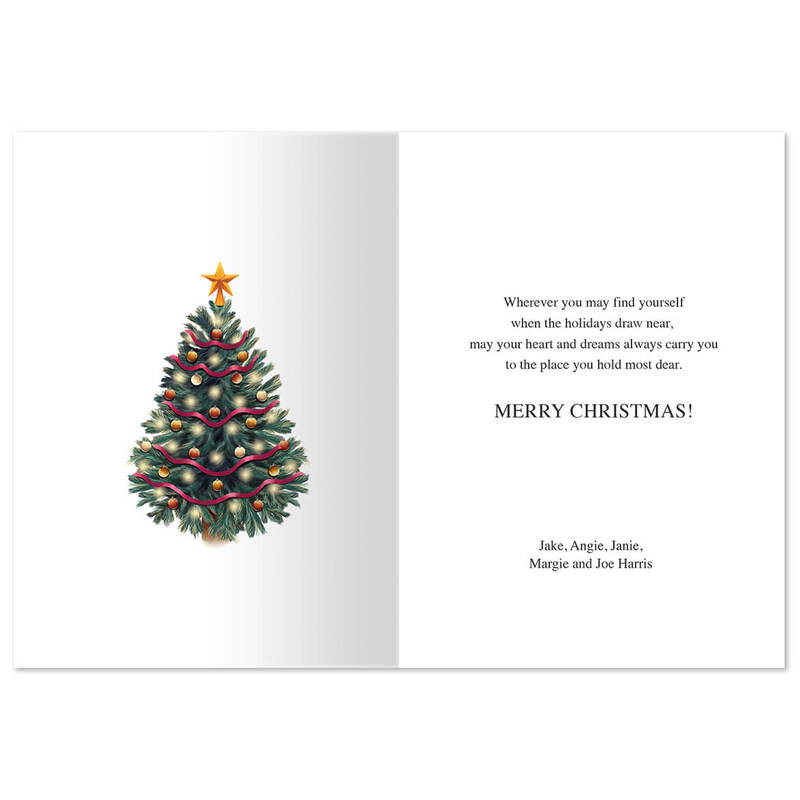 Yes, it is all custom printing so you can choose to not print inside the card. Mine turned out very nice.